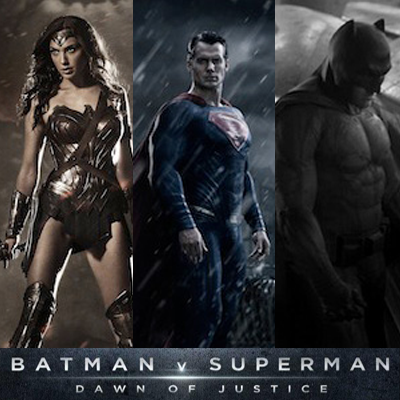 Has laughter been officially banned from Batman v Superman: Dawn of Justice? Zack Snyder is deep into production on Batman v Superman: Dawn of Justice, a film that's not merely the second outing for Henry Cavill's Superman, the introduction of Ben Affleck as the new Batman and Gal Gadot as the first ever big-screen Wonder Woman; but also Warner Bros. big all-or-nothing gambit to launch a proper DC Comics movie brand to rival Disney/Marvel's industry-redefining Cinematic Universe. Now, journalist and film-critic Drew McWeeny has reported that he (and other industry-watchers) are hearing a consistent two-word answer to the question of how Warner Bros. plans to set the world of The Justice League apart from that of The Avengers: "No jokes." The full implication of the "no jokes" mandate (which was also mentioned by Badass Digest writer Devin Faraci on Meet The Movie Press) would suggest that the studio wants its superheroes to be serious business; perhaps as a deliberate contrast to the lighter Silver Age-inspired Marvel approach most recently seen in Guardians of The Galaxy - a film widely expected to become the highest-grossing film of the year in the near future. There has been no confirmation or denial from anyone involved in the production of the DC Comics movies regarding any "no jokes" policy, nor any clarification as to whether it will extend to proposed films based on traditionally lighter/kid-friendly characters like Aquaman or Shazam.